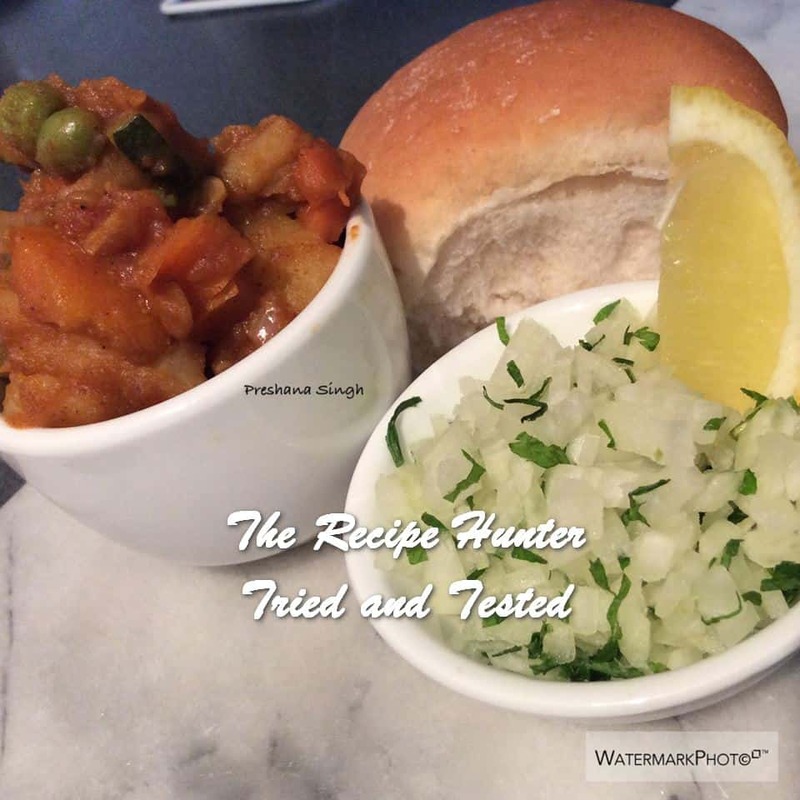 Pav Bhaji was invented as a midnight dish by street food vendors, made with all the leftover vegetables from the day, mashed up together, with loads of added spice, and butter. 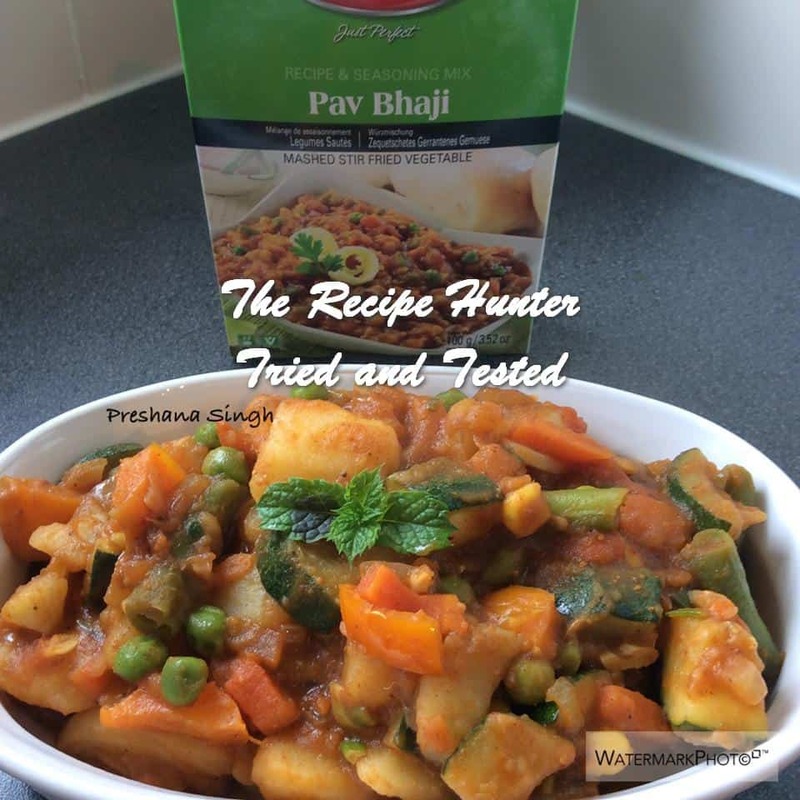 Bhaji is the Marathi word for a vegetable dish, and pav probably comes from the Portuguese word for bread. Boil the potatoes, when they are half-cooked add the mixed vegetables and courgettes. Boil long enough for potatoes to cook through. Strain water oil and set aside. Heat oil, add onion, sauté until translucent. Add the tomato, tomato puree, garlic and pav bhaji masala. Cook until the tomatoes form a paste and the oil bubbles to the surface. Add a little water at a time if necessary. Add the boiled vegetables, mix well and allow to simmer on low, stirring occasionally. Serve on toasted buns with finely chopped onion and mint leaves and a squeeze of lemon. Omg I love pav bhaji! Actually this recipe is exactly how we make ours but we use matoke (https://en.wikipedia.org/wiki/Matoke) instead of potatoes because they’re just sweeter and taste really good! Yeah I think you only get it in Africa but it’s very delicious! Yeah definitely try it out you might end up loving it as much as we do!